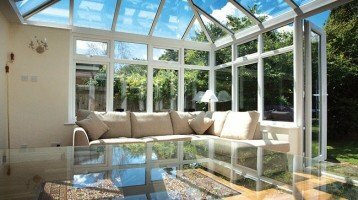 Estimates of the number of Conservatory Repairs needed in the UK are as high as half a million. Some are in need of a make over and repair or in many cases are simply not usable. This is a shame given the hard earned money that was spent by home owners in the first place. 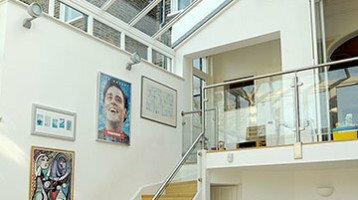 The whole idea of having a conservatory built was to add pleasure to your living space and add value to your home! Many conservatories in the UK that were installed 15 to 20 years ago may now need some work done. Depending upon materials used most will now be in need of refurbishment or repair. Perhaps this loved link between home and garden has become a bit of an eye sore? Or even a leaking room attached to a house! Cheam Windows can help restore Conservatories in Surrey and South London. We are proud to be allied with the “Refurbish My Conservatory Scheme” for Surrey and South London. This means that we are able to provide a cost effective way to make the most of your conservatory. We are part of a nationwide network of Registered Installers. Cheam Windows along with “Refurbish My Conservatory” are able to cost effectively replace conservatories in Surrey. Often at a fraction of a cost of a new one. In many cases, due to the previous fittings, there is not the same level of disruption or extra work required. Often less work is needed in the garden as the existing base can sometimes be be used. We are confident that refurbishing your conservatory is the most affordable way of bringing that old tired conservatory back to life and to good use. Most older conservatories will almost always be glazed with poly carbonate sheeting. Over the years the colour will have faded and the sheeting will be no longer be able to keep the heat in. A new Glazed Conservatory Roof with the latest type of double glazed units will transform your conservatory. The same top quality new glass can also be fitted to your conservatory doors and windows. Contact us to book a Free Design Consultation today. Or why not visit one of our three Conservatory Showrooms in Surrey. We would love to see you.